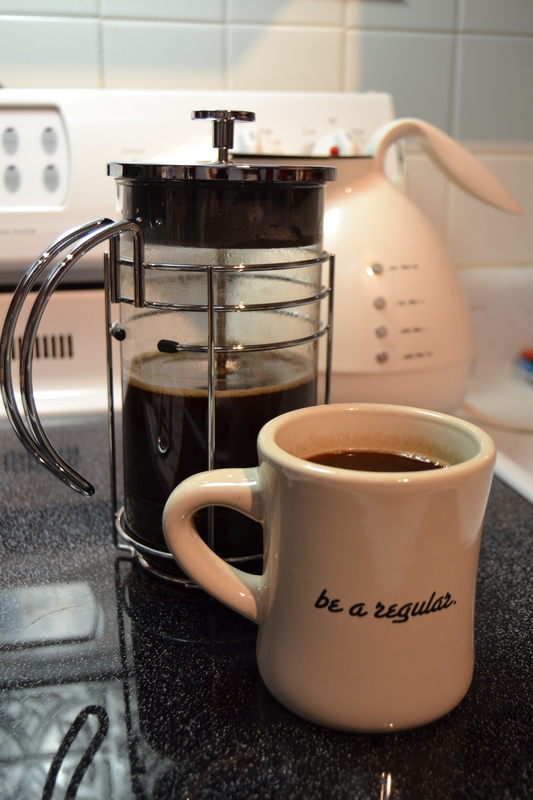 I briefly debated what method to use for brewing the coffee, but quickly decided to use the classic French press. I like this method of brewing because of its simplicity and because of the richness of the coffee it brews. One of the keys to making great coffee in a French press is coarsely grinding the coffee beans. 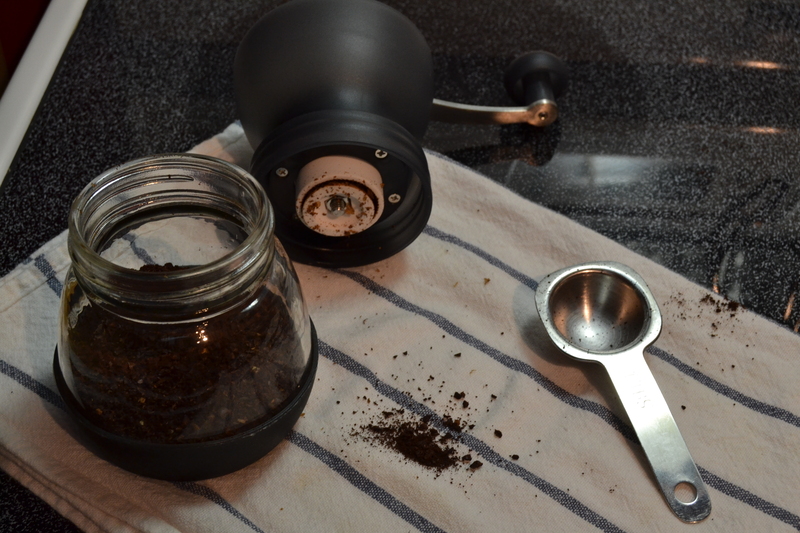 Use a small, manual ceramic burr grinder to get a medium-coarse grind from the beans. A grind that is too fine will result in coffee sludge. Water temperature is also important. Use an electric kettle to bring water just to a boil. Wait about five seconds and pour some of the hot water (about 1/8 cup) into a 32 oz French press and swirl it around to heat up the glass. Empty the water from the press, add six heaping tablespoons of the coffee, and fill the press with hot water to about an inch from the top. Using a small spatula, gently stir the coffee. Place the plunger assembly on the press pot and wait four minutes. Slowly press the plunger down. This should take about 20-25 seconds. Pour the coffee from the French press (coffee that remains in the press will continue to brew and will become too strong) and enjoy. 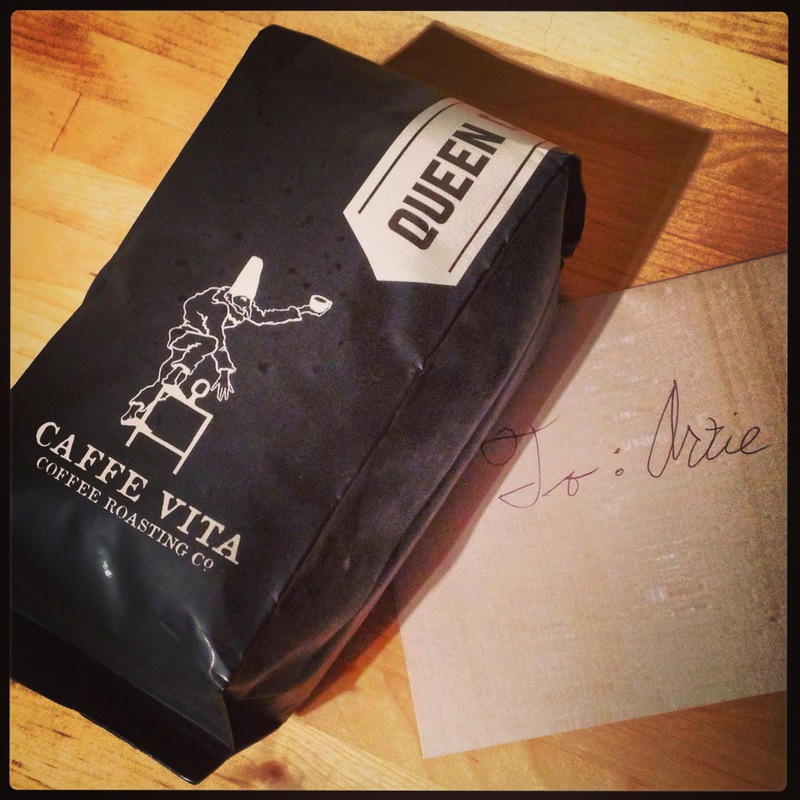 I typically use a standard drip coffeemaker to brew my coffee every morning, but when I get a special gift or splurge on a bag of higher quality beans, I try to take a little extra care in brewing it. I enjoyed my cup of coffee and thought about how I should plan a visit to Seattle one day.